Move over Border Collies there is a new sheep herding pooch in town! 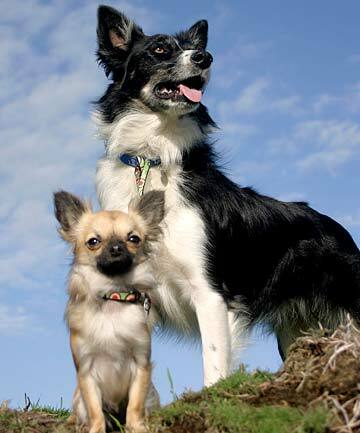 Nancy the Chihuahua has been making headlines around the world since it was discovered the tiny dog has an incredible hidden talent of rounding up sheep more than six times her size. Don't let her tiny frame and cute face fool you, Nancy has been giving the local working dogs a serious run for their money, proving to all that size in fact certainly doesn’t matter. Nancy was originally a rescue dog that suffered from severe sarcoptic mange before being brought back to health and adopted by none other than a London sheep dog trainer. Nancy took a liking to being a spectator on the farms watching closely as her border collie friends went to work. This inspired her owner to let Nancy have a turn and to her disbelief it turned out the clever Chihuahua had been paying more attention to the sheep herders than expected! She left farmers speechless as she went to work rounding the sheep as if she had done it her whole life. The best part is that Nancy has drawn attention and brought a positive image to all rescue dogs that are still in need of a home showing the world that they are capable of anything if given a chance!